Inconel ® 625 is a nonmagnetic, corrosion and oxidation resistant, nickel-base alloy. It has high strength and toughness in the temperature range cryogenic to 2000®F (1093®C) which is derived largely from the solid solution effects of the refractory metals, columbium and molybdenum, in a nickel-chromium matrix. Alloy 625 has excellent fatigue strength and stress-corrosion cracking resistance to chloride ions. Typical applications for Alloy 625 have included heat shields, furnace hardware, gas turbine engine ducting, combustion liners and spray bars, chemical plant hardware and special seawater applications. Trademark Notice: Some names are trade names and/or trademarks of specific manufacturers. 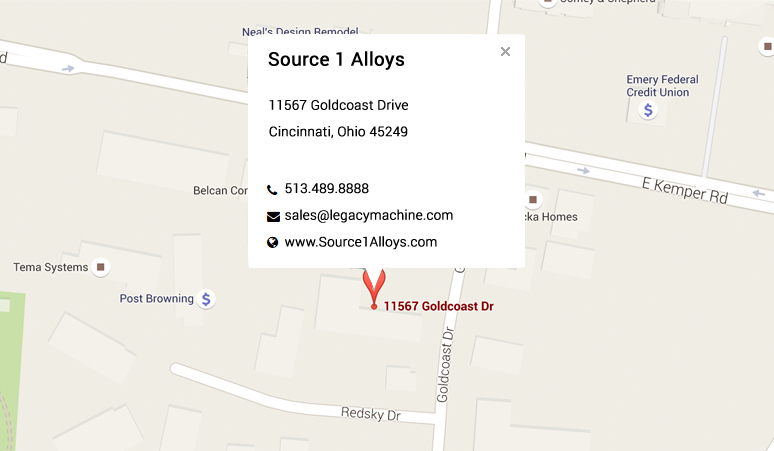 Source 1 Alloys is not affiliated with any manufacturer(s). Orders will be filled to meet specifications from all available source(s). Product names are listed solely for reference to help identify products consistent with listed specifications.